The Uncle Jim trail starts after a one mile hike down the Ken Patrick trail. 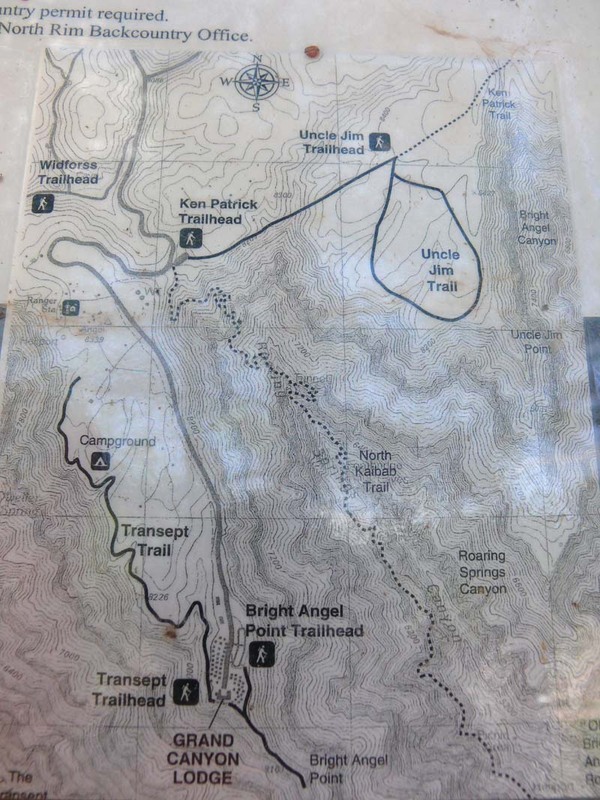 The Ken Patrick trail starts at the corrals in the east of the parking lot of the North Kaibab trail. The hike is nice along the rim of the canyon. It goes thru the Kaibab limestone of the Colorado plateau. You get to see some views of the rim that you wouldn't get to see anywhere else including some views of the North Kaibab trail. You travel about one mile on the Ken Patrick to where the Uncle Jim trail takes off to the left. There is a good sign at the junction of the two trails. The trail is a little bit steeper here and all along the trail it is rocky. In the rocks you can spot lots of fossils too. There are big seashells and fossilized sponges in the Kaibab limestone. Just remember that you are in the National Park and are NOT allowed to collect any. The whole rim of the canyon was under water in the Permian age, which is about 250 million years ago. Go down the trail for about .5 miles and there will be a junction. You can take either way but if you go left at the junction it will take you to the Uncle Jim Point. 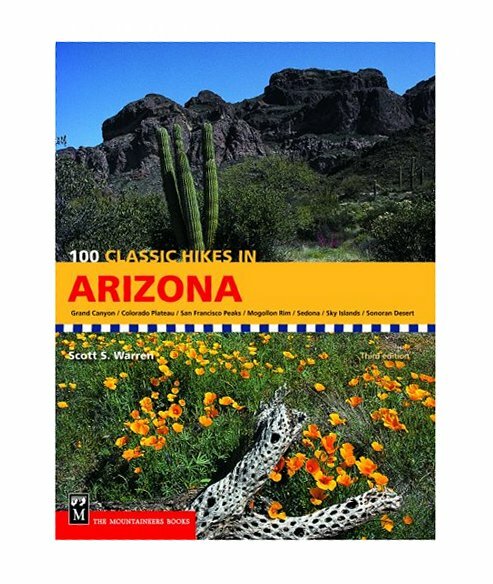 Which is about 2.5 miles from the start of the Ken Patrick trailhead. There is where you can see the North Kaibab trail as it goes along in the canyon. There will be another junction so keep to the left and there is a bar where they take the mules. Yes there is some mule traffic on the trail we didn't see any when we went but they do take them out there. You can camp along in this area but you need a Back Country permit to do so. After enjoying the views head back past the mule bar and keep to the left. There will be all kinds of views of the canyon along this part of the trail since you follow it out along a plateau. You will go thru a little bit of a burn area before you get back to the loop start. You then go straight on to the Ken Patrick trail and back the way you came. The only thing about this trail is that it is at 8200 feet and there is no water along the way so you have to take it easy at this elevation. If you are staying at the lodge there is a trail that can take you to this trailhead of 1.5 miles and is marked very well.